Three cheers for the fundraising machine that is Oak Hill Prep! And now, thanks to the support of STUDENTS, FAMILIES, ALUMNI, FACULTY and BOARD, the group netted $3,001.11 in a breakfast sale earlier this month, with all proceeds going to relief efforts following hurricane Harvey. The project caught the attention of many generous donors. All ingredient costs were covered before the first egg was cracked! Max and Ryan preparing morning breakfast for Harvey relief fundraiser. 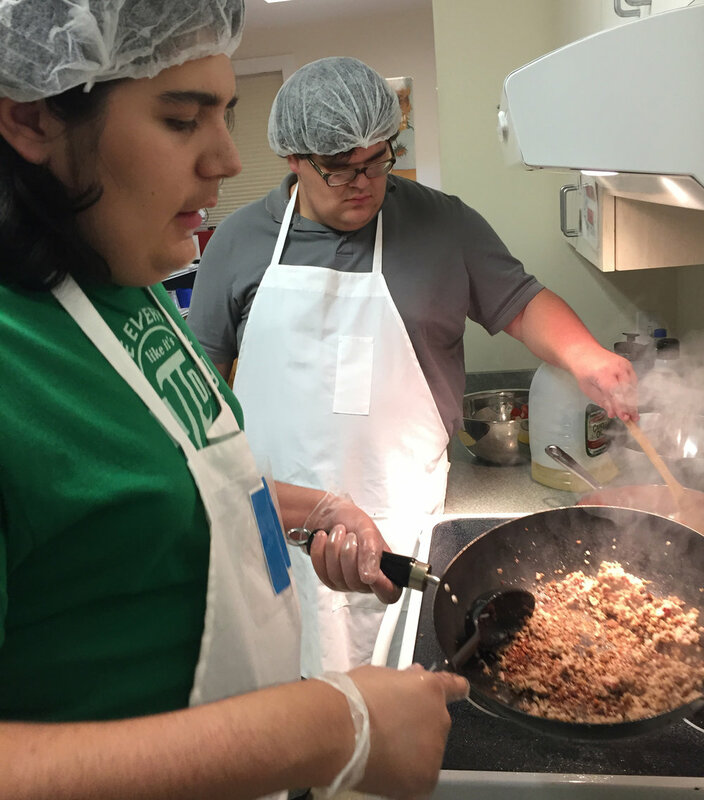 Students (and a special guest alumnus) did the cooking, the food-safety monitoring, the email acknowledgements, the money-handling, and the serving-up of some delicious plates of Eggs Bréard, bowls of OAK-Meal, and more. When the project was proposed on the first day of school, students responded with an immediate YES. By consensus, the group chose the American Red Cross and the Houston Humane Society as beneficiaries. Stay tuned for more service learning projects from this dynamic group of young people!